Indio, CA: Make this season’s moments last a lifetime by bringing your camera and capturing images at one of our Desert Recreation District (DRD) Winter Activities listed below. Now through December 13 – Countless families may go without a warm meal this season and children without a holiday gift, but you can change that. Bring canned food or an unwrapped toy or blanket to any DRD Community Center during regular operating hours – no cash donations, please. TASTY TRADITIONS – Candy Cane Lanes & Pot Luck – All the yummy holiday treats to enjoy like cookies, candy canes, and more. Activities, games, and contests for all ages! Oasis Community Center in Oasis– Dec 3, 11 a.m. to 1 p.m.
Jerry Rummonds’ Senior & Community Center in Thermal – Dec 10, 11 a.m. to 1 p.m.
North Shore Beach & Yacht Club in North Shore – Dec 17, 11 a.m. to 1 p.m.
Pot Luck at Indio Hills Community Center – Dec 16, 5:30 – 8:30 p.m. SHARING WITH SANTA – Call Santa’s hotline – Have Your Wish List Ready!!! Kids of all ages can to talk to Santa, Mrs. Claus, one of his reindeer or maybe even one of the elves from December 13 – 15 from 5:00 p.m. to 9:00 p.m. by calling 1-877-Santa-4-Kids (1-877-726-8245). Indio and Palm Desert Community Centers both offer a variety of activities and entertainment during winter break from school for those 5- 14 years old. December 19 – 30 from 7:30 a.m. to 6:00 p.m. PLAYING IT SAFE – Bike Rodeo (Bicycle Safety and Raffle) – For children ages 4 and older, this FREE event teaches safety and tests riding skills. Bring your own helmet, pads, and bike. Palm Desert Civic Center Park Basketball Courts. 15 bikes will be raffled to participants only. Dec 10, 10:00 a.m. to 12:00 p.m. 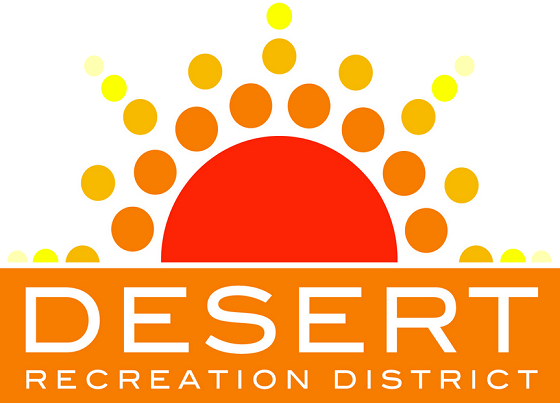 The Desert Recreation District (DRD) provides quality recreation experiences to residents throughout the Greater Coachella Valley. DRD manages, maintains and assists in maintaining over 30 parks and recreation facilities; creates and delivers quality programs, services and classes; and, facilitates leisure opportunities through partnerships that encourage residents to engage in healthy lifestyles and wellness activities.